The International Prize for Arabic Fiction 2014 finalists. A month ago, the International Prize for Arabic Fiction announced the shortlist for the 2014 International Prize for Arabic Fiction. Hadi al-Attag lives in the populous al-Bataween district of Baghdad. In the Spring of 2005, he takes the body parts of those killed in explosions and sews them together to create a new body. When a displaced soul enters the body, a new being comes to life. Hadi call it ‘the-what’s-its-name’; the authorities name it ‘Criminal X’ and others refer to it as ‘Frankenstein’. Frankenstein begins a campaign of revenge against those who killed it, or killed the parts constituting its body. As well as following Frankenstein’s story, Frankenstein in Baghdad follows a number of connected characters, such as General Surur Majid of the Department of Investigation, who is responsible for pursuing the mysterious criminal and Mahmoud al-Sawadi, a young journalist who gets the chance to interview Frankenstein. Frankenstein in Baghdad offers a panoramic view of a city where people live in fear of the unknown, unable to act in solidarity, haunted by the unknown identity of the criminal who targets them all. Aziz is a pilot at the air force base who loves flying and forgets his cares when he is up in the air. It is flying that he thinks of on his wedding night, rather his 16 year-old bride, Zina, waiting in the adjoining room. The following morning, he leaves his house at the crack of dawn, not to return for 18 years. His wife, Zina, looks for him everywhere – in prisons, offices, cities and forests – asking questions and following false leads, only to be disappointed. However, one day – in the bar where she and her sister Khatima work – a stranger presses a scrap of paper into her pocket. It takes her on one last journey in search of her husband: to the Kasbah of al-Glaoui in southern Morocco, where Aziz crouches in a prison cell, having lost hope of ever being found. A Rare Blue Bird that Flies with Me is a fictional testament to the terrible period of Moroccan history known as ‘the years of cinders and lead’. A researcher stumbles across a manuscript and attempts to edit it, to make it into a doctoral thesis. Entitled The Journeys of ‘Abdi, the manuscript is an account of one man’s journeys from Morocco to the Hijaz in Saudi Arabia in search of knowledge, written in the manner of Moroccan intellectuals such as Ibn Khaldun. ’Abdi’s journey turns into an examination of Arabic and Muslim society, with ’Abdi emphasising the need for Arabs to learn from Europe in order to achieve social progress. Split into two, The Journeys of ‘Abdi, known as Son of Hamriya follows both ’Abdi’s search for knowledge as well as the narrator’s attempts to edit his manuscript. After five years of self-imposed isolation, Doctor Yahya returns to work at the Abbasiya Psychiatric Hospital in Cairo, where there is a surprise in store for him. In ‘West 8’, the department in charge of determining the mental health of patients who have committed crimes, he meets an old friend who reminds him of a past he is desperately trying to forget. Suddenly finding his friend’s fate in his hands, Yahya’s life is turned upside down, with one shocking turn of events following another. What begins as an attempt to find out the true mental condition of his friend becomes an enthralling journey to discover himself, or what is left of him. No Knives in this City’s Kitchens is a profound exploration of the mechanics of fear and disintegration over half a century. Through the story of one Syrian family, it depicts a society living under tyranny with stifled aspirations. The family realise that all their dreams have died and turned into rubble, just as the corpse of their mother has become waste material they must dispose of in order to continue living. 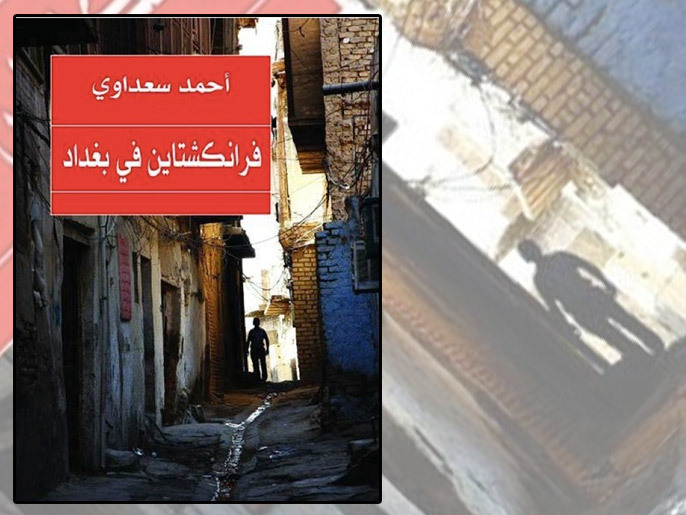 Written with shocking perception and exquisite language, from the very beginning this novel makes its readers ask fundamental questions and shows how regimes can destroy Arab societies, plundering lives and wrecking dreams. Khaled Khalifa writes about everything which is taboo in Arab life, with a particular focus on Syria. No Knives in this City’s Kitchens is a novel about grief, fear and the death of humanity. 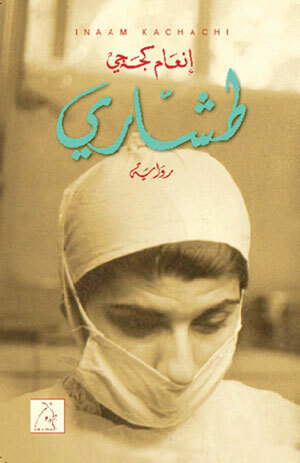 Tashari deals with the tragedy of Iraqi displacement of the past few decades, through the life story of a female doctor working in the countryside in southern Iraq in the 1950s. The narrative also follows her three children, who now live in three different continents, particularly her eldest daughter who has also become a doctor and works in a remote region of Canada. The title of the novel, ‘Tashari’, is an Iraqi word referring to a shot from a hunting rifle which is scattered in several directions. Iraqis use it as a symbol of loss and being dispersed across the globe. As a way of combating the dispersal of his own family, one of the characters, Alexander, constructs a virtual graveyard online, where he buries the family dead and allots to each person scattered across the globe his/her own personal plot. The International Prize for Arabic Fiction was launched in Abu Dhabi in April 2007 with an intention to address the limited international availability of high quality Arab fiction. The initiative was based on a suggestion that a prize modelled on the successful Man Booker Prize would encourage recognition of high quality Arabic fiction, reward Arab writers and lead to increased international readership through translation. So – go ahead and explore the world of Arabic fiction novels! → Israel bombs Syrian military, and prepares for a possible strike on Iran. ← The ongoing duality of life and war – meet Gohar Dashti.